Most often people end up not heading to the gym for a workout or even going out for runs simply because of the lack of time due to work commitments or other family commitments. This is no reason for anyone to stay unfit or end up having a lifestyle that is not active. In such situations a treadmill is a great way to maintain activity levels in your body. You can either get a treadmill home or maybe simply spend a good 25 minutes on the treadmill in the gym in case a 1 hour long workout is not possible. 1. Easy to use: You do not require a trainer or spotter to be around you all the time to ensure you are using the treadmill rightly. All you have to be careful about is maintaining optimum speeds which can be managed by your body. 2. Progressive approach: Treadmill lets you track your progress on the run in terms of the speed and the distance covered. For any activity to bring about a change in your body, it needs to be progressive in nature. Treadmill is a great way to make sure you are progressing even on the runs. 3. 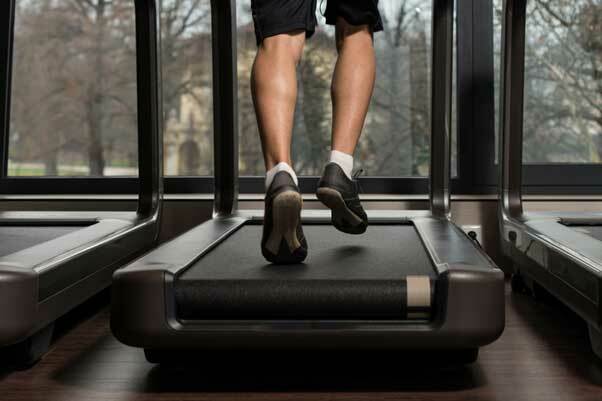 Safe: Treadmill is a much safer way to run than running on crowded roads laden with traffic. Cars, overcrowded roads makes it difficult to run. Treadmill saves you from all these hassles. 4. Better surface for running: The surface on the treadmill is specially made for running. The impact your knees take from running on cement and tar surfaces is reduced when you run on the treadmill. It is also a great surface to run on especially when you have aches and pain in the legs.